If you are a woman who loves to wear black but just cannot seem to create or put together the perfect outfit, then we have the All Black Outfit for Women just for you! If you want to dress casually for school, going to the mall, going out, etc. 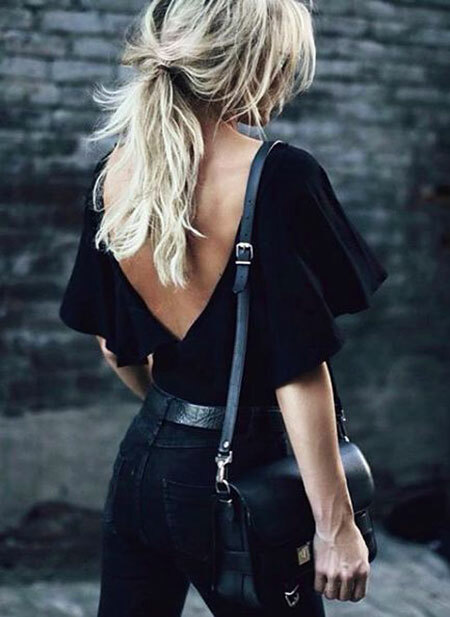 you can wear a pair of black leggings or jeans with a beautiful long-sleeved t-shirt, and bring it together with a pair of black boots or sneakers. A jacket would do well with this combination. If you want a casual outfit for going out on a sunny day with friends, family or a significant other, you can wear a knee-length or below the knee dress (even a maxi dress to prevent those harsh rays from turning you into a live tomato) with a large black sunhat and a pair of boots, pumps, heels, sneakers, whatever floats your boat! If you want to wear something formal to a work function or event, you can opt for a long, elegant black dress that covers your feet. This dress would look lovely when paired with a pair of heels and a clutch. If you are not the dress-wearing type, and you’d rather not feel that breeze, you can dress yourself in a formal pantsuit and platforms, with a clutch under the arm and a lovely blazer to finish it off if you’d like. If you are looking for something that is a little less formal but still casual (semi-formal) you can wear a dress that just about covers your knees and pair it with a pair of boots, heels, wedges or pumps! If you seriously cannot stand the bright rays of the sun, a black lace umbrella would look gorgeous with this and add to your beauty! 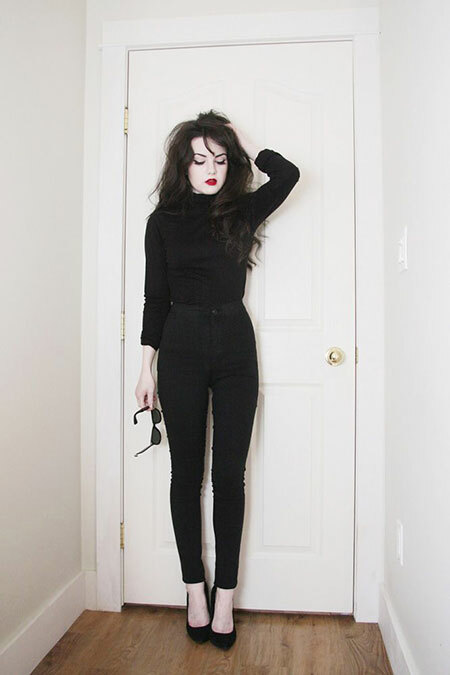 So, if you’re wearing all black outfits, just make sure to remember the most important step; all of your black has to match!